Please take a minute to show your appreciation for your student’s teacher! Have your students write a thank you note to their teacher, or bring them flowers or a gift. 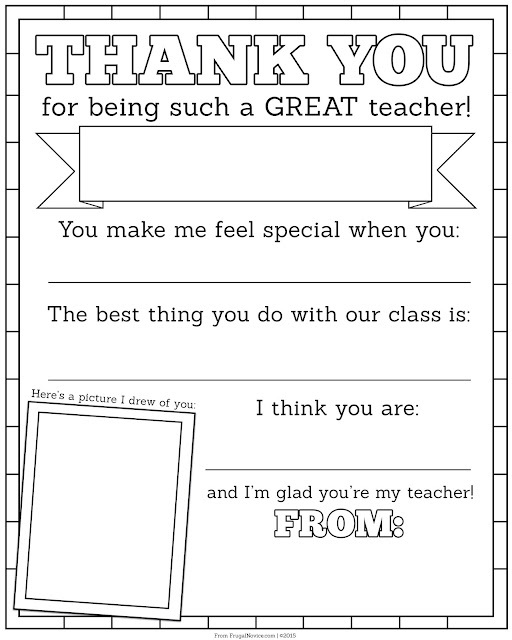 Click Here for this printable thank you note you can use your student can make their own card. Thank you Buri Buri Teachers for all that you do! You make Buri Buri a great place to learn for our kids! We have recently heard that the SSFUSD School Board has scheduled a special meeting on Monday night to discuss Measure J. We originally thought they would discuss these items on Thursday 4/28 but this seems to have changed. We would strongly encourage all Buri Buri families and staff to attend this meeting. They will discuss budget and timeline for the remaining construction. There is time at the beginning of the meeting for community comments and all are welcome to speak. The meeting begins at 7pm on Monday 4/25 at Baden High School Gym 825 Southwood Dr. SSF. See you there! 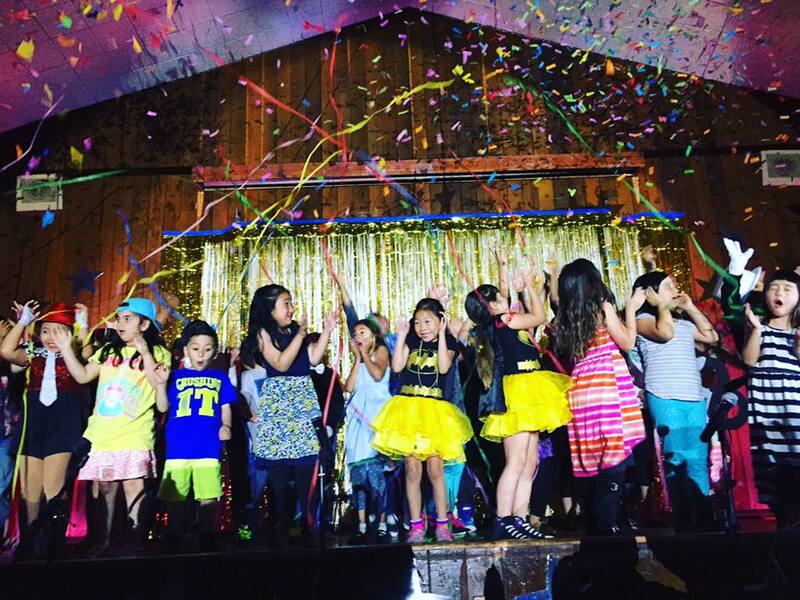 In other news, we would like to thank all for attending the talent show and auction! It was a huge success! We especially would like to thank the student stars and Melissa Kohlmeister for running the show! Great job Melissa! Please join us for our annual Talent Show and Silent Auction! We have over 70 students and teachers performing at the show! The Silent Auction will be held in a tent outside the MUR all day Friday April 22nd. The teachers have collected over $15,000 in goods and services for this event! 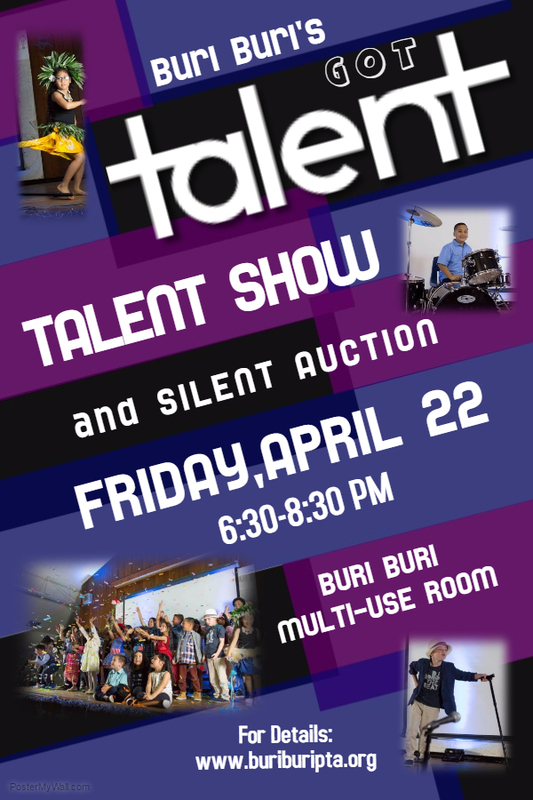 Even if you don't have a child in the talent show, please come and support the auction. 100% of money you spend at the auction goes to the school. See the school website HERE for a list of the great auction items including: 4 Disneyland Park-Hopper tickets, dinner and a tour of the fire station, SSFPD swat team school pick up and tour at the police station, keetsa mattress, hotel stay in Seattle, date nights, restaurant gift certificates, gift baskets, art, photography, summer camps, event and museum tickets and more! Bidding will open at 8:00am on Friday April 22. We will have coffee and pastries in the auction tent at the main entrance of the MUR on El Campo in the morning. You can also bid after school or at the talent show. The auction will close at intermission (around 7:45pm) and you can pay for and pick up your items right away. Cash, Check or Credit Card accepted. If you are not able to attend in the evening but you win an auction item from a morning bid, you can pay for it the following week in the office. Register HERE for a bidder number. There will also be a Raffle! Raffle tickets will be $1 each or $20 for 25. The grand prize for the raffle is an ipad! Tickets will be sold before school the week of April 18-22 and at the talent show. The raffle winners will be chosen at intermission. This is a can't miss event! See you there!